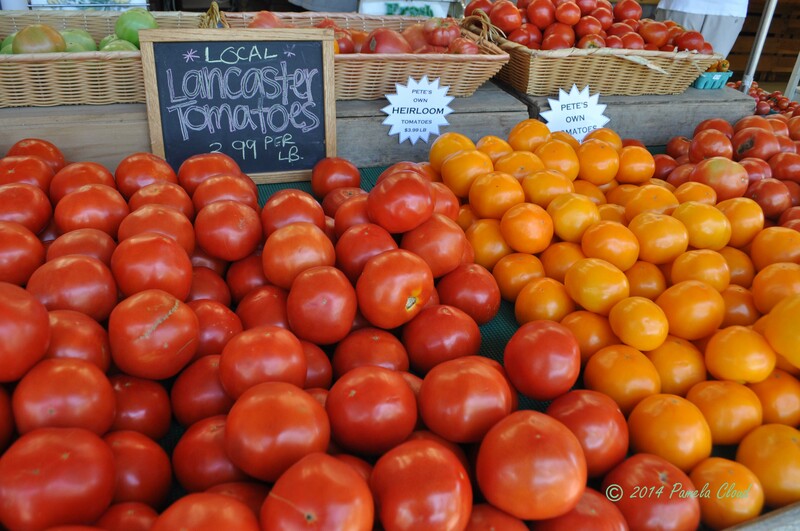 A great selection of Lancaster and locally grown tomatoes at Pete’s. Did you know that Pete’s also donates to the Chester County Food Bank? There is nothing better than the smell and taste of freshly sliced tomatoes on a hot July afternoon. And, there is no reason anyone should have to eat tasteless, faded pink tomatoes this summer when local farmers are brimming with “fresh-from-the-field” offerings. With so much farming going on in our own back yard, it’s easy to find anything from corn to kale to watermelon almost every day of the week. Here is a list of local farmer’s markets, farm stands and CSAs available to you in the West Chester-Glen Mills-Media area. 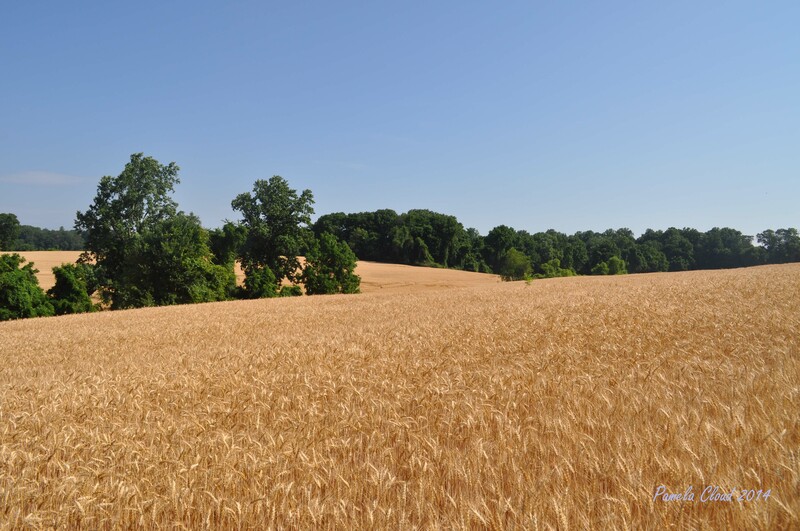 Open fields and rolling hills have long been a hallmark of Delaware and Chester counties. Buying from local farmers helps keep it that way! Buying locally also helps the environmentally conscious among us reduce their carbon footprint. I have also noticed that many of the farms listed here donate a portion of their crops to local food banks. If you have children, open markets can be a lot of fun too, as many of them have tasting stations where you can sample melons and other goodies! And you’ll never hear any pleas for gum or candy at the checkout, because there is no gum or candy at the checkout! Not that your kids would notice, because there are so many other tantalizing treats from which to choose; the sweetest thing you’ll find is local honey, real fruit smoothies and homemade cookies! We typically do not make it to the checkout with a full carton of anything! Take a look and see what’s available in your area! 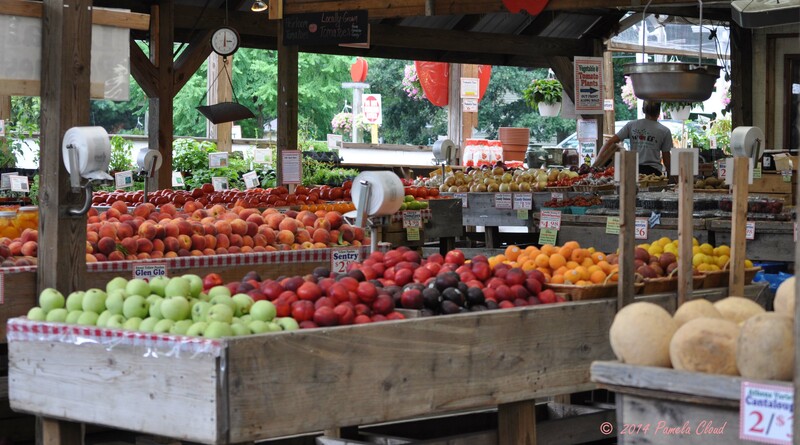 Wolff’s Apple House on Route 452 in Media offers produce from many local farmers. 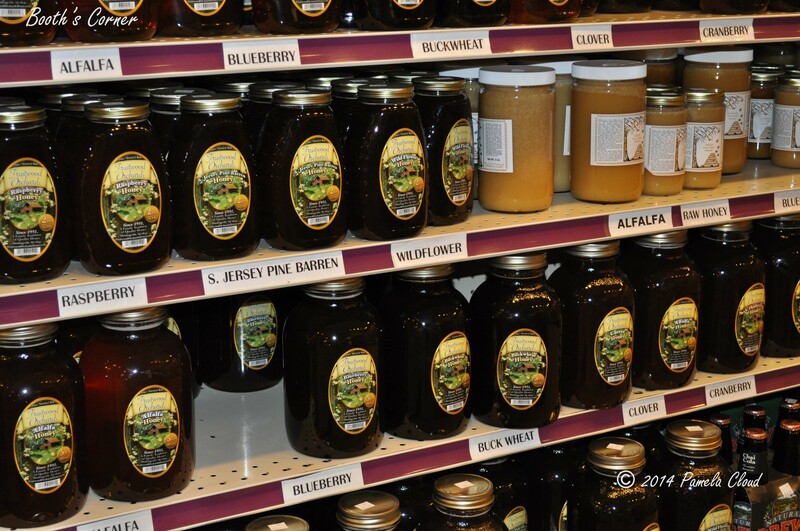 Take your pick–there are so many different types of honey to choose from at Booth’s Corner! Hillside Farm in Media – located at the Elwyn campus in Middletown Township. if you are not a member, you can still stop by and consider a membership for next year! Newtown Square (PRC) Farmer’s Market-Wednesdays from 3pm-6pm at Mostardi’s Nursery on West Chester Pike in Newtown Square, Pa.
Thornton Farmer’s Market (Saturdays 12pm-3pm) follow the signs to the field on Glen Mills Road near Thornbury Park in Thornton, Pa. Fresh flowers, produces, home made jams and crafts. For a list of vendors, click the link. Indian Orchards, Middletown Township-you can pick your own raspberries, blueberries and other fruit at this family owned farm. Vegetables are organically or sustainably grown. Red Hill Farm in Aston-run by the Sisters of St. Francis of Philadelphia, this CSA is farmed on some of the last remaining undeveloped land in Delaware County. Wolff’s Apple House, Pennell Road in Middletown Township. If you are lucky enough to live near Wolf’s, you’ll enjoy a great shopping experience filled with fresh produce, plants and gourmet delights all year long. Although Wolf’s no longer grows their own produce, their products are typically grown locally. Linvilla Orchards in Middletown township. This is so much more than a farm stand, with animals, a full store and activities for children all year long. Booth’s Corner in Boothwyn. If you can’t find it here, you probably can’t find it. From shoes to furniture to fresh meats and produce, Booth’s Corner is a cornucopia of treasures to be experienced at least once in your lifetime. Swarthmore Food Co-op, Swarthmore — A sustainable food coop since 1937. I recently came upon an interactive website regarding the impact of factory farming in the United States. I was pleasantly surprised to find out that Delaware County has zero factory farms! Better for the people, better for the environment we live in. Source: Factory Farm Map by Food and Water Watch. 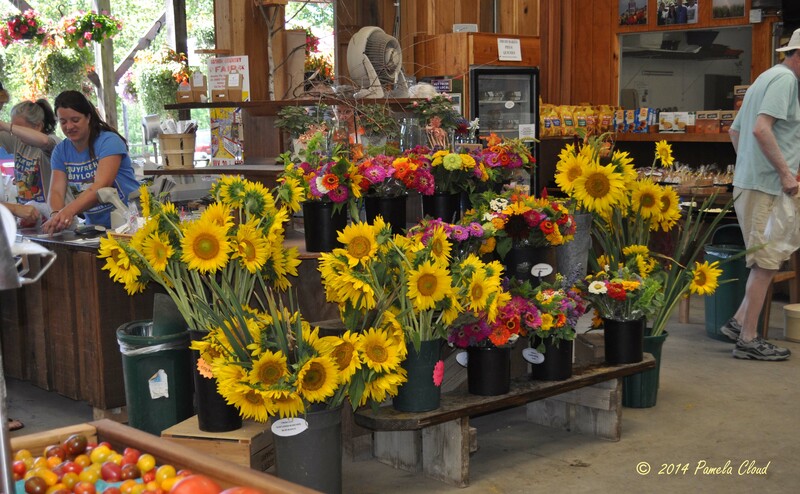 As you drive by Pete’s , you’ll see these sunflowers growing right on Route 926! Chester county has long been known for its farms and agriculture. Who doesn’t love driving past a field of sunflowers or zinnias? If you see them growing, more than likely they are for sale inside! Artisans Exchange in West Chester every Saturday 1oam-2pm. West Chester Growers Market – Saturdays 9am-1pm rain or shine. The corner of Chestnut and Church Streets in downtown West Chester. Pete’s Produce, Route 926 in Westtown, Pa. If you’ve moved to the area (or won’t move away) because you like the rolling fields and farmland as your backdrop, supporting your local growers will insure the land stays that way. Access to open spaces is not only good for you, but many people clamor for it, meaning that real estate near open space is almost always in demand. Rolling wheat fields on Route 926 in West Chester. If you’re thinking of moving to the Philadelphia suburbs, see homes for sale in the West Chester~Glen Mills~Media area, or visit any of these Open Houses this weekend! And, if you are thinking of buying or selling, please call me if you would like more insight in to the local real estate market or guidance with your real estate transaction. Find me at www.pamcloud.com. Have I missed anyone? Please contact me if you don’t see your favorite farmer, CSA or farm stand on this list!